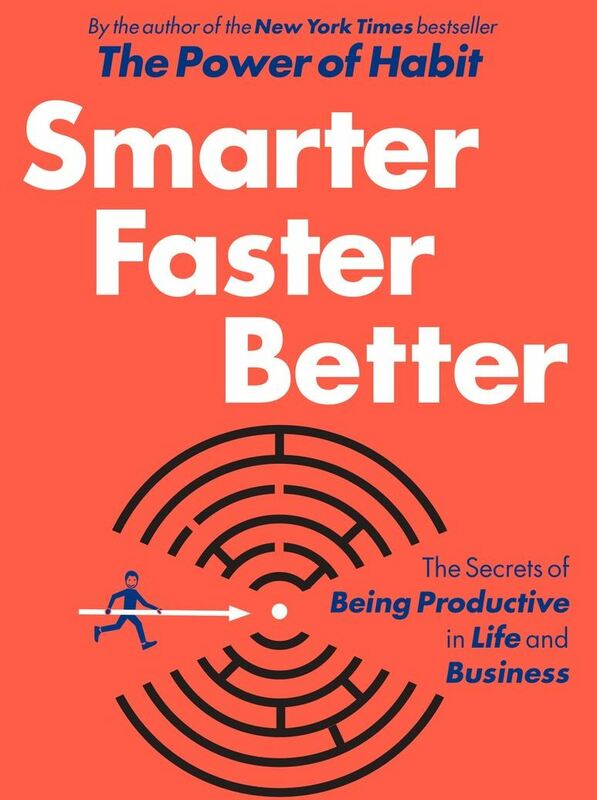 "Smarter, Faster, Better" by Charles Duhigg explores the science behind how we motivate, manage and become more productive humans. In a nutshell it's more about how you think as opposed to what you think, which is a mindset I believe that can change your life. We make good choices based on our past experiences which allow us to forecast the future more accurately. Charles believes “good decision making is contingent on a basic ability to envision what happens next.” This only happens when we have the ability to see how what's going on is different than how we actually believe things should be which is known as a mental model. Motivation is not innate, it is a skill that can be cultivated and improved upon. In the book he uses an example from the Toyota company where they are tasked with reopening a former GM plant with the same workers which forced this factory to close. They allowed workers to feel like they had autonomy over their actions and surroundings, which led to a successful relaunch of this car factory. Motivation often has more to do with the belief we are in control more than the actual choices we have to make. At times when we look to be productive it comes at the expense of performing a task or unpleasant chore. Instead of groaning, we should take an opportunity to ask ourselves "why" we're begrudging performing this particular task. Only after we become aware of the why do we see that these small tasks are a part of a part of a much larger goal or set of values. We see that these small chores can have a massive emotional reward which allows us to have a more meaningful view on our decision making, Self-motivation flourishes when we realize that helping around the house or opening a door for someone on its own, might be relatively unimportant. But it is part of a bigger project that we believe in, that we want to achieve, that we have chosen to do. If you don't know Peter Thiel, he along with Elon Musk (Tesla, SolarCity) and Max Levchin (Yelp) created this tiny payment processing company named PayPal. You may have heard of them. They since sold the company to eBay for $1.5 BILLION and all have gone on to start their own billion dollar companies. Peter has written a book "Zero to One" which I would recommend to everyone, not just entrepreneurs. Whether you interpret this as work in the white space or zig when they zag; it boils down to creating a service or product to disrupt you industry or in other words ALWAYS try to put your competition (and yourself) out of business. I often recommend Cal Newport's book to other fitness professionals, but this book can help anyone be the linchpin in their organization and become indispensable. This book is a MUST READ for anyone who hates their current job and wants to do something they're passionate about, but doesn't know where to start. This too, is a fantastic read for anyone who's working hard to build a long career in an industry they love. Newport goes to great lengths to explain just how terrible "follow your passion" is as career advice. He argues against the "passion" approach, as it can lead individuals down a road that may not be financially viable; just because you enjoy something doesn't mean that you'll be able to make a living doing it. There's a few reasons one might fail such as an insufficient demand in the market for your skills, or because you may not have enough "career capital" to be successful in the early stages of your career transition. Career capital is described in the book as a set of rare and valuable skills. So as to say these are traits that greatly define amazing work. With competency comes higher job satisfaction. This key component to happiness even outweighs earning a higher salary alone. The author sites several key case studies that backs his career capital theory. Many professionals work long hard hours acquiring rare and valuable skills that will allow them to have more control over their careers by making them indispensable in their field. They are now able to afford to ask for more compensation and flexible schedules but also to take chances on finding a speciality to further enhance their career financially and increase satisfaction. Just because you love exercise, don't blow your life savings on a gym when you don't have the rare and valuable skills to succeed in the fitness industry. As it currently stands I believe there's a few reasons why people are so quick to want to jump from behind their desk job to a gym. The ease of entry into the field is what makes it so appealing to the workout junkie. You can become a personal trainer RIGHT NOW. You can trade in your suit for dri-fit clothing and get a pretty flexible work schedule. Could you "survive" this transition? Yeah you can but you don't want to only get by, you want to thrive in this or any industry of your choosing. So whether you've been contemplating a change of careers or want to get a promotion, Cal Newport's book will help you better understand how to further your career by putting in the work to go from good to GREAT. If you found my book recommendation compelling and feel that it might be a read a friend you know needs to get going on, please do share this post. Thanks!